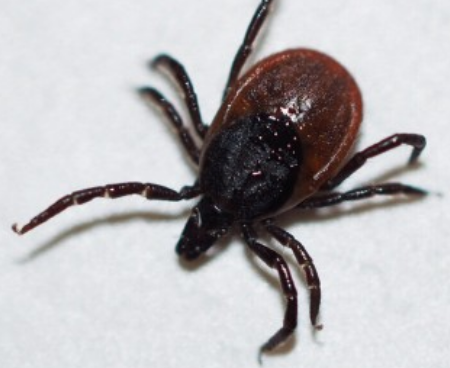 Home > Blog > Ask the Doctor: Will this Tick Bite Make Me Sick? Ask the Doctor: Will this Tick Bite Make Me Sick? For the last decade, there have been anywhere between 20 to 30 thousand cases of Lyme disease in the U.S., according to the Centers for Disease Control and Prevention. Lyme disease, which can lead to various neurological and cardiac disorders, is one of many afflictions transmitted by ticks in North Carolina--in addition to Rocky Mountain spotted fever, Ehrlichiosis and even a transmitted allergy to red meat. Ticks pose an even greater threat in the summer, and those under the age of 16 are most likely to be bitten, according to CDC. Diana Pressey sat down with Dr. Dan Phillips, co-founder of MedAccess Urgent Care, to discuss tick-borne diseases and what people can do to prevent themselves from ticks. Diana Pressey: Do you often deal with tick bites at MedAccess? If so, what are the types of tick-borne diseases you see the most often? Dr. Dan Phillips: Tick bites are a daily thing at our clinics. Most tick bites do not cause transmission of disease, but we are always concerned about Rocky Mountain Spotted Fever and Lyme disease. Other less frequent issues are Ehrlichiosis and the transmitted antibody which can cause meat allergies. Pressey: What are the dangers of these diseases if they aren’t treated? Phillips: While the short-term flu-like symptoms of these diseases are uncomfortable, it’s the long-term ones we have to worry about. Rocky Mountain spotted fever and Ehrlichiosis are usually fatal if they aren’t treated due to resulting meningitis, kidney failure or inflammation, and Rocky Mountain spotted fever can also cause deafness and paralysis. Lyme disease can be chronic after it’s treated, so those who contract it can experience fatigue, muscle pain, memory or speaking problems and headaches for years afterwards. And, of course, lone star ticks lead to permanent red meat allergies. Each disease has its own complications. Pressey: Can you tell me more about the lone star tick bite that causes a red meat allergy and what you’ve seen of that at MedAccess? Phillips: We have several patients with documented red meat allergies (or the alpha-gal allergy). The lone star tick causes this allergy to develop when it injects alpha-gal into the skin, triggering the production of antibodies. It is usually several hours after eating meat that allergy symptoms develop, so sometimes the association is missed. Pressey: What are the most common tick-borne diseases in general? Which are the most dangerous? Phillips: Rocky Mountain Spotted Fever is probably most common in this area. They are all potentially dangerous, but they are fortunately treatable, mostly with antibiotics. Pressey: How do ticks transmit these illnesses? Pressey: Ticks transmit disease by biting an infected animal or human then transmitting the illness through their saliva when they bite the next animal or human. Typically, a tick needs to be embedded in a person for 12 to 48 hours to transmit a disease. That’s why it’s very important to remove them as soon as possible. Pressey: Why is it important to consider the danger of tick bites in the summertime specifically? Phillips: Tick bites typically occur only in warm weather months in our part of the country, most likely because people spend more time outdoors and the humidity, which ticks thrive in. We consider the possibility of tick-borne illnesses this time of year, especially with illnesses that are vague in nature. As with most illnesses, early diagnosis and treatment shorten the duration of the illness. Pressey: How can people reduce the risk of being bitten by a tick and contracting these diseases? Phillips: The biggest means is prevention. Ticks are a major problem in areas near the woods, and they’re attracted to damp environments. It’s a good idea to clean up your backyard and get rid of wet leaves. Also, use insect repellent, and when in the woods, wear long sleeve shirts and pants and tuck pant legs into your socks. Never walk around outside without wearing shoes. If you’re spending a lot of time outside, check often for tick bites so you can get ticks out as soon as possible. Pressey: What should people do when they get bitten by a tick? Phillips: Remove the tick immediately by using tweezers to pull it straight out of the skin. Then, disinfect the bite and your hands. In most cases, nothing is required after you remove it, but if the area gets red and swollen, see your doctor. Likewise, if within two weeks of a tick bite, you develop joint aches, fever, a headache or any strange rashes, see your doctor. Pressey: What's the bottom line when it comes to tick bites and tick-borne diseases? Phillips: Prevention is key. Do your best to avoid bites in the first place so you don’t have to worry about the diseases. But if you do get bitten, it’s crucial to get early diagnosis and treatment once symptoms develop. If you have any doubt or concerns, see your medical provider — you’re better off safe than sorry. Avoid the long wait for your primary care physician by visiting a MedAccess location in Chapel Hill, Roxboro or Youngsville. Walk-in appointments are available, and you can skip the wait entirely by checking in online.